In a few short days, event professionals from across the world will come together in London for the 2018 Event Tech Live (ETL) and Event Technology Awards (ETA). Over two busy days of learning, sharing, and celebrating the best in event technology, more than 1,700 participants will engage with a wide-ranging spectrum of educational sessions and innovative exhibitors. Our SpotMe team will be in attendance at ETL and ETA—where we are honored to be shortlisted in 5 categories—as eager participants, panelists, and roundtable hosts. Here is where you can find SpotMe during ETL this Wednesday and Thursday. SpotMe CEO, Pierre Metrailler, is joined by Jamie Hayes-Jones, Managing Director at Launch Interactions, and Shefa Begum, Content Account Manager of DPpixelhouse, for a panel about the ROI of building event apps. Hosted by James Morgan, founder of Event Tech Lab, the panel will explore the pros and cons of investing in a dedicated app, with specific examples from each of the panelists that demonstrate the value of innovative event apps to increase that most significant measure of success: participant engagement. Join us to hear directly from SpotMe’s CEO some of our strategic and creative client collaborations. Can “face-to-face” meetings facilitated by technology be as engaging and productive as traditional in-person meetings? During this session, participants will respond to compelling questions surrounding the expansion of hybrid corporate meetings. From overcoming current obstacles to testing new tactics to measuring the success of a remote meeting, there are plenty of topics to discuss. Sit in on this roundtable with us to hear how SpotMe solutions promote interactivity during hybrid sessions—and to dream big about the future of corporate meetings. No event can succeed without human participation and engagement, but in our oversaturated digital world, it can be challenging just getting people to show up. This is where data comes in. 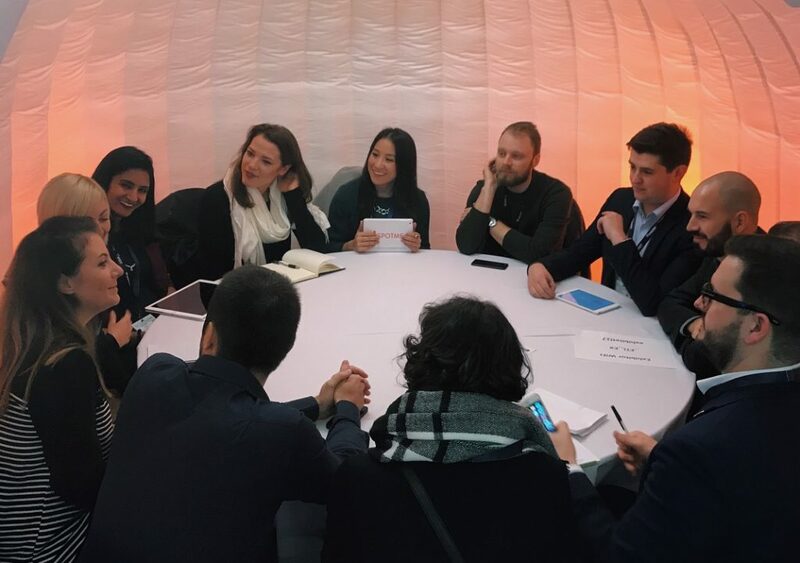 This roundtable, hosted by SpotMe, will illuminate the innovative ways that event hosts can leverage data as a kind of “secret sauce” that not only attracts an audience to an event, but also keeps them interested and engaged during it. Join us for this discussion to get critical takeaways including how to structure the collection of data from event participants, how to identify the right type of data for decision-making, and how SpotMe apps have helped organizers glean insights and optimize their events through the power of data. Click here to sign up for the roundtable discussions. We hope to see you there.